Draw up a list of the world’s most accomplished and experienced astronauts, and astrophysicist Dr Michael Foale’s name is going to come pretty near the top. Over the course of six missions, the British-born Nasa astronaut has spent more than a year in space. Foale has flown in the Space Shuttle and the Russian Soyuz, lived on the Mir space station and commanded the International Space Station (ISS). He’s carried out four space walks, totalling almost 23 hours outside in both Russian and American spacesuits. These included an epic eight-hour spacewalk to upgrade the computer on the Hubble Space Telescope. The crew’s quick thinking under pressure not only saved Mir but meant their mission could continue. And, over the next few weeks, Foale worked alongside his colleagues to help repair the station, restoring full power and control as well as spending hours mopping up condensation from the dripping interior walls. “I didn’t feel our lives were threatened for much longer than 10 seconds or so during the collision,” says Foale. “I always felt there was an opportunity to save ourselves and that knowledge meant that I didn’t need to panic, didn’t need to be afraid. Now more than 20 years after saving one space station, Foale wants to save another: the ISS. I first interviewed Foale at Russia’s Baikonur cosmodrome in November 1998 shortly after the launch of the first stage of the ISS, the Zarya module. He was there on behalf of Nasa astronauts to champion the project, which at this stage was over budget, behind schedule and beset by political bickering (you can get a flavour of the situation from this story written just over a year later. A joint enterprise between the US, Russia, the European Space Agency (Esa), Japan and Canada, the ISS has now been continuously occupied since 2000. And, over that time, has increasingly come to justify its $100bn (£75bn) cost. The station has proved that humans can live and work in space for prolonged periods and carry out useful science in orbit. It has also shown that nations which struggle to cooperate or trust each other on the ground – such as the US and Russia – can work together in space. “It’s that cooperation, that strength in the partnership, that’s really the value from a project such as the ISS,” says Foale who, after flying there himself in 2003, is one of two astronaut members of an international commission overseeing ISS policy and operations. But the station’s days are numbered. Funding by the various space agencies involved is only agreed until 2024. 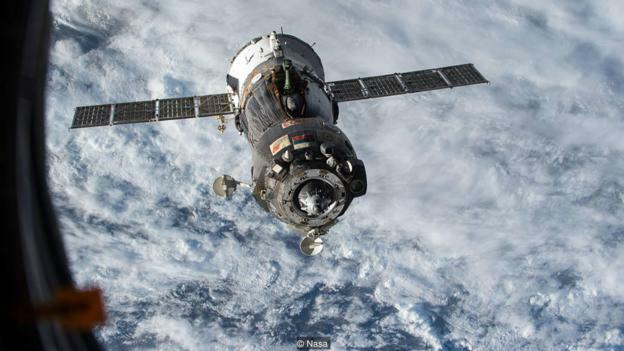 This means in just six years’ time, the most expensive structure ever built will be pushed out of orbit by a Progress spacecraft to disintegrate over the Pacific. And the countdown clock is ticking. But national priorities are shifting and there is only so much money to go around. With the 50th anniversary (in July 2019) of the first manned lunar landing fast approaching, President Trump recently directed Nasa to return to the Moon. The plan involves building a space station, or ‘lunar gateway’, in orbit around the Moon before constructing a base on the surface. It’s an ambition supported by the head of Esa, Jan Werner, and the Russian space agency. Separately, and adding to the political pressure on the US, China is pursuing lunar landing plans of its own. Although none of the proposals are fully costed, it seems unlikely that the space agencies will be able to invest additional funds for Moon missions on top of their current human exploration budgets. For Nasa, this currently adds up to around $8bn (£5.9bn) and includes running costs of $1.4bn (£1bn) for the space station as well as investment in new spacecraft such as the Space Lunch System. Unless Congress approves additional funds for Nasa or there are cuts in other programmes – and both would seem unlikely – any cash that goes into building a lunar orbiting space station or funding a return to the lunar surface would have to come from existing funds. The ISS already supports some commercial operations. A private company, NanoRacks, operates experiments in equipment racks on the station for private clients. The station is increasingly also being used to launch small satellites into orbit, carried up in commercial spacecraft such as SpaceX’s Dragon robotic supply ship. The Russian space agency takes tourists to the station and has even suggested it might build a hotel module. Although most of the business of human spaceflight is still directly or indirectly supported by governments (and ultimately the taxpayer), the true privatisation of space is starting to take hold. SpaceX’s competitor Blue Origin, owned by Amazon founder Jeff Bezos, recently completed another successful test of its new rocket. And, after many setbacks, space tourism company Virgin Galactic is moving towards its first sub-orbital launch with its Spaceship 2. In the meantime, Foale is formulating his campaign to save the ISS and says he plans to launch websites to gather support to help save the space station. He says he intends to keep pressure on the space agencies to continue to fund the programme. But, unless the private sector steps in, Foale fears that in 2024 the space agencies – and the politicians that fund them – will end up destroying one of the world’s greatest engineering accomplishments, not to mention a massive economic investment by millions of taxpayers around the world.